VNS reported that the United States Department of Commerce has revised its preliminary conclusion of the anti-dumping investigation of Vietnamese circular welded carbon-quality steel pipes, citing significant ministerial errors. In a notice dated July 15, DOC raised the dumping margin rates for both Vietnam Haiphong Hongyuan Machinery Manufactory Co Ltd and Hoa Phat Steel Pipe Co to 2.32 per cent, instead of 1.19 per cent and 0.38 per cent, respectively, mentioned in the preliminary report in June 2016. The rate for SeAH Steel Vina Corporation remained unchanged at zero per cent. Other steel pipe exporters will still face the countrywide rate of 113.18 per cent, based on adverse reports. 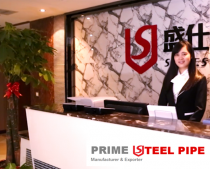 On June 8, 2016, DOC had published its affirmative preliminary determination that circular welded carbon-quality steel pipes (CWP) from Viet Nam was being sold in the United States at less than fair value provided by section 733 of the Tariff Act of 1930 and at different rates. However, American petitioners filed comments alleging significant ministerial errors in the margin calculated for Vietnamese businesses. After analysing the comments, DOC detected the errors in margin calculation and decided to revise the dumping margin rates for two Vietnamese steel exporters. On December 17, 2015, DOC initiated dumping investigation concerning imports of CWP from Oman, the United Arab Emirates (UAE), Pakistan and Viet Nam. Among these four countries, the highest rate of more than 113 per cent was imposed on Viet Nam. Vietnam’s CWP exports to the United States reached US$60.6 million in 2014, the highest among the four countries probed, according to the Vietnam Competition Authority.